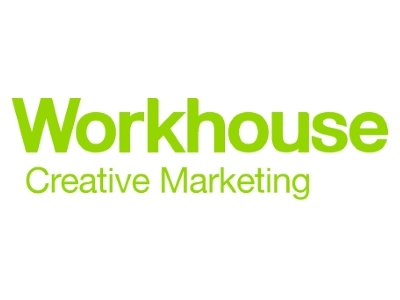 Workhouse Marketing is an award winning integrated marketing agency based in Ribble Valley. With over 25 years in operation we’ve seen the marketing and design landscape change many times, each time we have adapted to remain at the forefront of the industry. We’re extremely proud of our rural Lancashire roots, which we feel reflects our desire to do things a little differently. The lack of hustle and bustle helps to inspire our creativity, and our clients love the stunning surroundings just a stone’s throw from the M6. However, we’re far from a small-town agency with a small-time mentality. We were named ‘Creative Agency of the Year’ at the 2017 Red Rose Awards. Our name popped up again in the Top 25 Integrated Agencies list for the North of England, the highest of any Lancashire based agency. Most recently we were shortlisted in the final six for the ‘Large Integrated Agency’ category at this years’ Prolific North Awards. As a Lancashire business that has experienced (and continues to experience) fast paced growth we understand that it can present teething problems as well as opportunities. We’re well placed to help other businesses through this transition. Focus on your people, they’re the ones who will grow your business. Investments, revenue and profit margins are all essential for growth, but none of these are achievable without the right team behind you. First grow a team that’s motivated, brimming with talent and inspired. In return they will be the engine of your growth plan. We believe that Lancashire is the perfect place to grow a business. There are ever increasing investment and opportunities arising in the county as more and more businesses set up shop here. In terms of a talent pool, Lancashire is second to none. Developing young talent in the county is critically important and something we take seriously at Workhouse. There are also a number of practical advantages for businesses, such as more cost effective commercial and office space and great transport links. We’re backing Boost Business Lancashire because we’re eager to do our part in progressing Lancashire as a hub of business excellence. Many of our clients are based in Lancashire, so we know first-hand that there are some fantastic businesses in the county that still have even more potential. We want to see Lancashire businesses succeed, and if we can help that happen, we will.